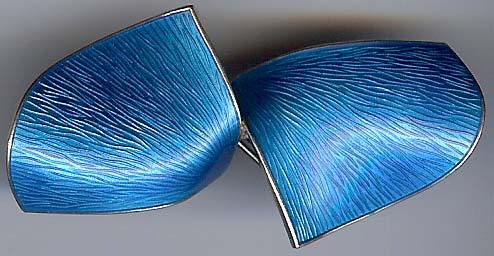 Part One of a two-part post on enamel jewelry. 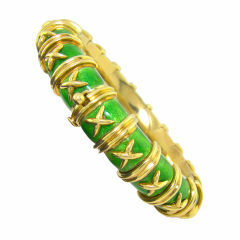 Not nail enamel, which I like well enough, but enameled jewelry. Enamel is the way to wear colour, whether in delicate or large pieces. 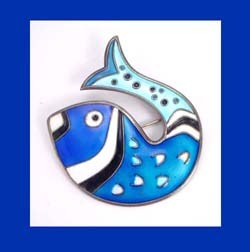 Interest is reviving in this relatively environment-friendly material, but wonderful pieces can be found (especially enamel on silver) in the three-digit range. Well-applied enamel lasts for generations but should not be worn stacked or against other metals (especially chains) or dropped. As you would expect, earrings, pins and necklaces endure in better shape than rings or bracelets. Damaged enamel can be repaired by craftsmen; one source is the London jeweler Hirschfeld's. Enamel has cachet. It's not a me-too material, more subtle than stones. The designer must apply supreme workmanship to achieve depth and glow. Enamel is made with heat, but it's cool. Enameling is the application of finely-ground glass powders to metal. 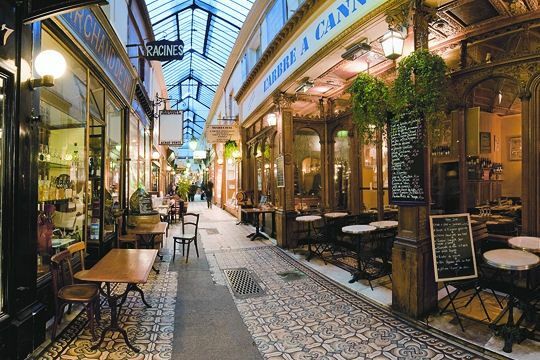 Cloisonné is the old est form, made by placing enamel within cells (cloisons), rather like a honeycomb. The polished metal wires of the cloisons form part of the design. The earrings shown were used by King Tutankhamun in his lifetime, and are vibrant today. 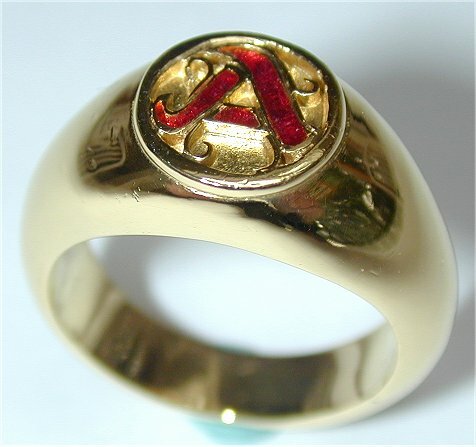 Guilloché is an engraving technique on metal, which may then be enameled. A guilloché piece has characteristic depth and movement. The engraving and enamel of Fabergé eggs was the first pairing of the two techniques. Shown, Ivar Holt vintage Norwegian guilloché enamel pin, about 2 12.2 by 1 1/4 inches; enamel on sterling; price, $165 from Deja Voodo. 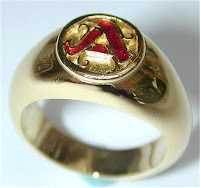 Champlevé means "raised plane"; the technique applies recesses in the form of pattern or design to the metal, with enamel packed into these areas. 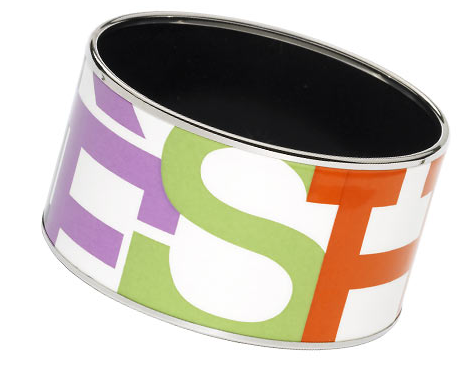 Painted enamel applies enamel on top of the metal, to create a surface "painting"; shown, Hermès "Capitales" bracelet. Some contemporary pieces are still done completely by hand, but many–including Hermès'–are made by a combination of decal and hand work, just like patterns on porcelain. Plique a jour is essentially cloisonneé with no backing, so the enamel glows like the stained glass in a window, a refined technique. The backing burns off in the firing, a complicated process. 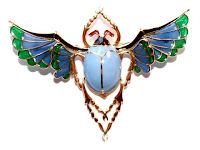 Shown, a scarab brooch with plique a jour wings (and champlevé body) by Bernard Doherty. Regardless of enamel technique, the enamel should be vibrant, with depth and life. The colours should be even, without darker edges from careless firing. A little hairline cracking in antique pieces adds to the charm; hold the piece and examine the surface for glue or fillers, which will dull the finish. 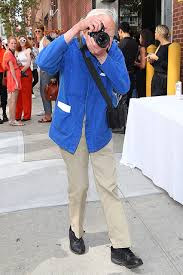 Look at the work of recognized enamelists (like those by the Oslo company David-Andersen, shown) to hone your eye. You can then swoop on enamel; unsigned but lovely pieces turn up in vintage stores and church bazaars. Shown, enamel D-A fish pin from Jennifer Lynn's Timeless Jewelry; price, $250. I'll show you some interesting items at various price points. Thanks for the reminder how beautiful enamel can be. 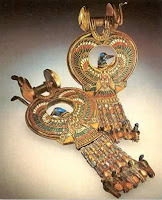 I've been slow to appreciate it - I associated it with the costume jewellery of my youth - which probably was painted! David Anderson does some lovely enamelled necklaces. Just don't pick something too dainty, or the effect is Little Old Lady. That Ivar Holt pin is great - sculptural and glowing! 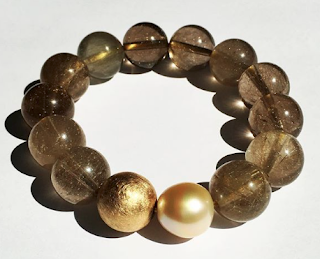 As always I learn something new in your jewelry posts, and there are pretty pictures. Thank you. I'm looking forward to the next installment. My experience with enamel jewelry has been limited to very inexpensive pieces, so this was quite informative. Looking forward to part 2! There is a major exhibition on Cloisonne at the Bard Graduate Center Gallery - 18 West 86th Street in New York. It is ending this Sunday - the 17th of April. It is very informative about the technique and includes pieces of astonishing beauty. I didn't even think I was interested in Cloisonne until I saw it ! Gorgeous! The Ivar Holt piece is a stunner. thanks - this is so timely! i adore enamel and just found some lovely cloisonne pendants on etsy. I've had good luck at the Met jewelry store too - especially their faberge type enamel earrings. I never knew enamel had so many names and techniques. Thanks for helping me appreciate its beauty! I havenù't found any really fine enamel pieces at church bazaars or yard sales (though I have found lovely scarves and other jewellery pieces at my favourite bazaar) but I keep looking.